Dr Chuks Okereke has had a flurry of good news recently, with recognition for the excellence of his research and confirmation of his impressive international reputation. Chuks explains, “The focus of my research is to explore how societies can best respond to climate change, which is now generally accepted as arguably one of the greatest challenges facing humankind. While recognizing the importance of science and technology in combating climate change, my research emphasises the social, ethical and political dimensions of climate governance. I am interested in understanding the climate strategies of various stakeholders (such as governments, businesses, cities and civil society organizations) and how these either enhance or inhibit the prospects for societal transformation in the response to climate change. Chuks has recently been invited to join “Climate Strategies”, the most prestigious research organisation and network on climate policy in Europe. The main focus of the group is to set, in collaboration with EU Commission and UK Research Councils, the long term agenda for research on EU and global climate policy. Chuks’ co-authored book Carbon governance, climate change and business transformation (Oxford: Routledge, 2015) has been nominated for an award by the British Sociological Association (BSA) as one of the three works that have extended “The frontiers of sociological climate change research”. Chuks has recently won funding from CDKN (DFID) for the project “Interactions between Industrial Policy and Green Economy in Africa“. The project is led by Professor Yacob Mulugetta at UCL . 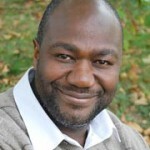 Chuks is a central partner and leader of the work package on ‘governance and political economy’. Other partners include the Ethiopian Development Research Institute (Ethiopia) and Quantum Global Research Lab (Switzerland). The research period began in February and is planned to continue through to November 2016, with the total funding of the project over £370k. Congratulations to Chuks on the exciting recognition! You can read more about his current projects and teaching at his staff profile. “If equity is in, we are out”. Those were the words of Todd Stern, the Chief climate negotiator of the United States on the eve of the last day of the UN Climate conference in Durban, South Africa in 2011. In a room filled with high level officials from different countries desperately trying to agree the final text of the Durban Platform for Enhanced Action (ADP) – the document that was going to form the basis for the negotiation of a new long- term agreement that will replace the Kyoto Protocol – Mr Stern declared that the United States will not be party to any global climate negotiation process which attempts to make equity and justice central pillars of an envisaged agreement. 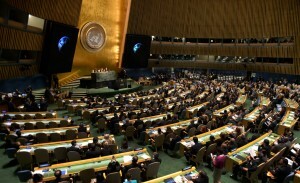 He was reacting to the clamour from developing countries that the decision text establishing the ADP, should prominently recognise the equity principle of common but differentiated responsibility and capability (CBDR) which basically implies that developed countries, in keeping with their historical responsibility for climate change and their enhanced technological capabilities, should take the lead in making emission cuts. Developing countries further tend to rely on CBDR to ask to financial and technology transfer from the developed countries. In Mr Stern’s view, however, developing countries insistence on climate justice was a clog in the wheel of the UN climate talks. He went to say that as far as he (and presumably the US) was concerned, the global climate agreement was not about morality but about numbers and maths – whatever that means. While some observers were alarmed by Mr Stern’s position, his words were in fact a fair, if vulgar, rendition of the mind-set that is quite pervasive among developed countries. Rich nations tend to prefer to wave aside or at least make light their moral responsibility in tackling climate change, while appealing for concerted action by ‘all parties’. “Pragmatism”, “realism’, and “we are in this together” are some of the other phrases used by developed countries as they try to duck their responsibility and cajole developing countries to instead step up their own climate actions. It was to this effect that many Western countries lined up behind the US in Durban. Eventually all references to equity, justice and common but differentiated responsibility were expunged from the text. 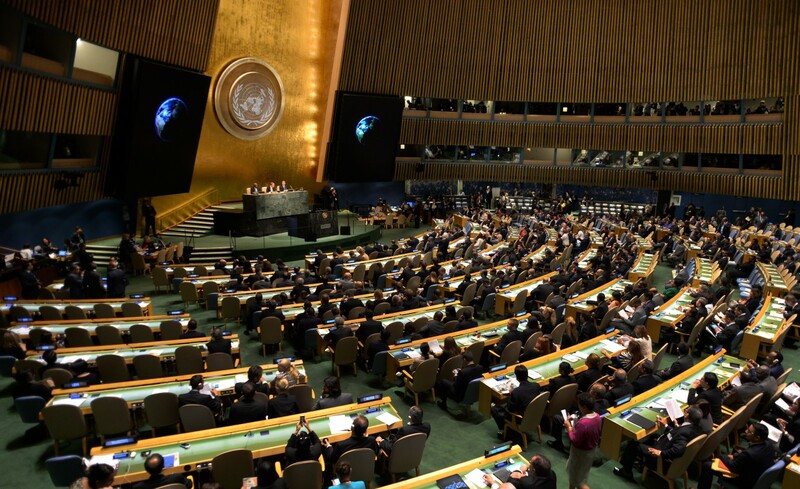 The United Nations opens the UN Climate Summit 2014 September 23, 2014 at the United Nations in New York. It has been a short-lived victory. Events in the UN climate talks in Lima over the last two weeks have overwhelming demonstrated the utter futility of developed countries’ schemes to diminish issues of equity and justice, let alone sidestep them altogether. In virtually all the key issues and categories under discussion – countries’ mitigation contributions, states’ adaptation commitments, the remit of the loss and damage, and climate finance, among others – equity and differentiation have stood out as sticking points. Attempts, led to Russia, to amend the original UNFCCC Convention which groups states into developed and developing countries, with the latter largely exempted from quantified legally binding emission reduction obligations, were sternly rebuffed by China. The G77 group of developing nations took a principled stance in all their submissions that the principle of equity must guide all negotiations and long-term actions. Showing their heightened distrust in the progress, developing countries even requested that texts should be displayed on the big screen in real time while negotiating to enhance transparency. The harshest word for developed countries, however, came from the President of Bolivia, who referred to industrialized nations that have appropriated more than their own fair share of global atmospheric space as ‘thieves’ that must be made to pay back what they have stolen. All of this is neither to suggest that developing countries should be given an easy ride in negotiating the 2015 climate agreement, nor that there are easy approaches to a finding a ‘just’ climate agreement. Climate change is indeed an urgent problem which requires the most extensive and ambitious co-operation from states to bring it under control and justice is a deeply contested concept open to multiple interpretations recommending diverse, sometimes conflicting, policy. However, what is beyond doubt is that international politics is not beyond the pale of morality as the likes of Todd Stern would like to claim. Climate change has thrown up very complex and unprecedented moral questions for the international community. Only a concerted and mutually respectful approach to bargaining by states can offer the best prospect for finding an equitable and effective agreement. If Lima has taught us anything, it is that humanity badly needs a dose of respect between nations if we are to avoid climate chaos. The brazen scheme to expunge equity from previous climate agreements by the US and her backers has only served to further erode the mutual trust sorely needed to make compromises. Morality might be a dirty word in some states’ foreign policy handbooks. But call it what you like. The world needs to find its guiding principles quickly, and developing countries want rich nations to pay for what they’ve broken. 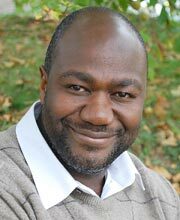 Dr Chukwumerije Okereke is a global climate policy specialist and jointly leads the new Leverhulme Doctoral Scholarships Programme on Climate Justice: Ethics, Politics, Law at the University of Reading.